QMUL research into Multicultural London English (MLE) substantially contributes to the delivery of the GCE A level English Language curriculum and, since 2010, the GCSE English curriculum, which both have a compulsory focus on spoken English. MLE figures in 3 school textbooks and in a new QMUL online English Language Teaching Resources Archive that now receives 18 000 - 20 000 hits per month. The QMUL Resources Archive addresses difficulties in delivering the spoken English curriculum faced by teachers who are mainly trained in literature, not linguistics. Teachers and students benefit from new teaching resources including accurate linguistic commentaries on MLE sound clips and accessible summaries of linguistic research published in recent journals. The impact extends to the delivery of English Language curricula in EFL Colleges and HEI institutions worldwide, and to a wider public understanding of language change in London English. This case study highlights the pioneering research of Arran Stibbe in the emerging discipline of Ecological Linguistics, and the impact of this research beyond academia in developing Education for Sustainability in English disciplines and beyond. Environmental issues have traditionally been considered a matter more for the sciences than the humanities. However, Dr Stibbe's detailed linguistic analyses of environmental discourses, his many keynote presentations and newsletter articles for the Higher Education Academy, and the seminal Handbook of Sustainability Literacy have demonstrated how linguistics can address environmental issues, and informed the curricula of multiple institutions across the world, as evidenced by testimonials and the findings of independent research. Research in Modern Languages linguistics at Exeter explores language use and variation, especially in spoken varieties of French and Italian. It has impacted on educational practices (Impact 1), helped encourage social cohesion (Impact 2), and enhanced public appreciation of language (Impact 3). The French-based research has informed language learning in H.E. and schools, and featured in online training resources and the mass media. It features significantly on University courses (UK and abroad). Aspects of the research have contributed to shaping educational and policy initiatives in Italy and France, aimed at immigrant communities or designed to improve social cohesion. 1.Casework: Reports for forensic investigations, and provision of opinion and evidence for police investigations, criminal trials and civil proceedings, have all contributed to verdicts of guilt or innocence and to judgements in civil and appeal Courts. 2.Policy development and training: Research findings have changed police practice in interviewing witnesses and suspects, and specifically in cases where there is an interpreted interview. Changes to Greater Manchester Police's (GMP) taking of non-native English speaker witness statements represents a significant, concrete example. This case study reports three specific kinds of impact: on the development of Key Stage 5 (AS and A level) curricula; on the practice of Key Stage 5 teachers; on the choices and interests of students (which in turn contributes to impact on curriculum design). Interventions through publications, workshops, committee membership and consultancy have helped to shape developments for many years. Key beneficiaries of this work are students, teachers, examiners and curriculum designers. The work has had particularly significant impact at Key Stage 5, although some of the activity is relevant at earlier stages. The impact of the research is achieved via the creation, publication and adoption of a new 3-level Business English course, Business Advantage, published by Cambridge University Press in 2012. Business Advantage is the first business textbook to draw extensively on research carried out on a corpus of recorded and transcribed professional interactions. As CUP's new `flagship' Business English course, it is being marketed internationally, and is designed to reach a large target audience of learners, teachers and programme directors. The impact is primarily in two areas: education and economic prosperity. Education: research is informing and influencing the form and content of Business English teaching and is already of international reach in a range of educational settings, including tertiary, vocational and private (e.g. in-company training) in which English for Business and Professional Purposes is taught. Economic prosperity: the impact involves transferring insights and knowledge gained from research to a commercial product — a mainstream Business English course by a major educational publisher with expectations, and initial evidence, of extensive world-wide sales to a wide range of customers. Dr Christopher Hall's research on second language (L2) lexical development stressed the hybrid nature of lexical mental representation in learners of English. This led him to reflect more critically on the local experiences and needs of learners and non-native users, and to develop a `plurilithic' account of the ontological ambiguity, unfairness, unhelpfulness, and unsustainability of monolithic conceptions of English for learning/teaching. Informed by this research, Hall (Reader in Applied Linguistics) and colleagues Dr Rachel Wicaksono (Head of the Department of Languages and Linguistics), and Clare Cunningham (formerly Wardman, an ECR and Lecturer in Linguistics) have taken steps to raise awareness of the implications of monolithic thinking among UK and international English Language Teaching (ELT) stakeholders, thereby challenging some firmly established tenets of language education policy. 4) transformed the perspectives of communities and professionals adapting to the transition of Northern Ireland to a multicultural, multilingual society. There is a growing, global crisis of language endangerment: At least half of the world's 7,000 languages are under threat. The Endangered Languages Project at SOAS supports the multimedia documentation of as many endangered languages as possible, drawing on research in the new field of documentary linguistics. A component part of the project, the Endangered Languages Archive (ELAR) preserves and makes available through managed access 10 terabytes of material from 160 endangered languages projects to date. It has benefitted a broad, international user base including endangered language speakers and community members, language activists, poets and others. 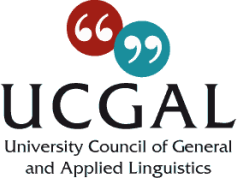 UCREL (the University Research Centre for Computer Corpus Research on Language) has been pioneering advances in corpus linguistics for over 40 years, providing users with corpora (collections of written or spoken material) and the software to exploit them. Drawing together 8 researchers from the Department of Linguistics and English Language and 1 from the School of Computing and Communications at Lancaster University, it has enabled the UK English Language Teaching (ELT) industry to produce innovative materials which have helped the profitability and competitiveness of that industry, and assisted other, principally commercial, users to innovate in product design and development. The work of Professor Philip Baker on the multiple and diverse languages of London has influenced government data-gathering procedure and policy, has contributed to the engagement practices of several London NGOs concerned with racial diversity and bilingualism, and has positively contributed to education relating to multicultural London on teacher-training and medical education programmes. Working in complementary areas of language policy and planning, the research of Oakes (French) and Pfalzgraf (German) has had three main non-academic beneficiaries. It has been of use to a wide range of policy makers in Canada and Germany, by informing debates on language policy at the official level. It has enhanced understanding of language-policy issues amongst the general public, through media interventions and works aimed at lay audiences. It has also benefited teachers and students in higher education in a range of disciplines and countries, by shaping their grasp of language-policy issues in Canada, Germany more generally. Holliday's research is at the core of paradigm change in intercultural communication. For this reason it has provided a conceptual underpinning for the design and writing of the new syllabus for English language teacher education proposed by the Chinese National Institute of Education Sciences. Holliday was invited to use his research to write the part of this syllabus which describes teacher knowledge and methodology necessary for recognising the cultural contribution of school students in learning English. This research has also increased the intercultural awareness of English language educators in Asia and Central America through a range of seminars, workshops and internet material, and has produced a textbook which has carried this awareness to university students in the humanities and social sciences in a range of countries. This research by Professor Yaron Matras produced tools to promote awareness of the Romani language through popular websites, online documentation, learning resources and audio-visual educational materials. It also produced policy papers which prompted the launch of a European Language Curriculum Framework for Romani. This led to the consistent monitoring and reporting by governments on policy to promote Romani through the European Charter for Regional or Minority Languages. Professor Matras was responsible for establishing the first-ever online multi-dialectal dictionary in any language. `Romlex currently offers an online lexical database of 25 Romani dialects with search and translation facilities in 14 different target languages. Research on lexis, semantics and pragmatics underpins a public engagement that allows ordinary English users to learn about and discuss national varieties of English. Lynne Murphy's online forums and live events accessibly examine how American English and British English suffer transatlantic misconceptions about their origins, use and interactions. This creates a public discourse (involving learners, teachers, translators, editors, expatriates) on how linguistic research illuminates the dialectal differences and on-going linguistic changes that puzzle or frustrate. People enter these forums because they are curious or uncomfortable about linguistic variation; they leave with their assumptions challenged and their prejudices altered. Building on the well-established focus on multilingualism in Birkbeck's Department of Applied Linguistics, Professor Li Wei's ESRC funded research on `codeswitching' practices of transnational and minority ethnic children in complementary schools in the UK has had significant and far reaching impacts in the field of multilingual education. It has increased awareness of the social, educational and linguistic significance of complementary schools; enhanced interactions across complementary schools in different ethnic communities, and influenced policies and practices, including teacher development, within heritage/community language schools in Europe and beyond and bilingual education policies in China. Influenced changes in health practice through aiding the continuous professional development of healthcare professionals. Biak (West Papua, Indonesia) is an endangered language with no previously established orthography. Dalrymple and Mofu's ESRC-supported project created the first on-line database of digital audio and video Biak texts with linguistically analysed transcriptions and translations (one of the first ever for an endangered language), making these materials available for future generations and aiding the sustainability of the language. Biak school-children can now use educational materials, including dictionaries, based on project resources. The project also trained local researchers in best practice in language documentation, enabling others to replicate these methods and empowering local communities to save their own endangered languages. Computational Linguistics research at Aberdeen concentrates on Natural Language Generation (NLG), an area of Artificial Intelligence. NLG raises difficult issues about what makes a text effective. This case study explains how our Computing Science department has brought these issues to the general public, aiming to improve public understanding of, and enthusiasm for, Artificial Intelligence. This has been achieved through two projects, targeting different sections of the public. The Joking Computer project explains the mechanisms behind verbal humour, allowing non-scientists to engage with computer programs that generate puns. The online Joking Computer has received 200,000 hits, and allows users to contribute data to the research by rating its jokes. The second project targets a more sophisticated section of the public in a book entitled Not Exactly: in Praise of Vagueness. This book, which builds on years of research on Natural Language Generation, illuminates the role of vagueness in science and computing and has triggered worldwide debate on the role of precision in scientific, social, and political discourse, meeting with an enthusiastic reception. To date it has sold well over 6,000 copies.